This Friday, September 8 we kick off our fall series This Really Happened….Storytelling at HT! Join us for an evening featuring some of the most hilarious and moving storytellers on stage. Audience members can also claim a spot in the show and share a “two-minute tale” at the open-mic at the end of each show, for up to six audience members. 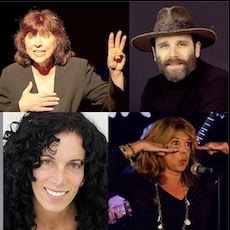 Hosted by Joey Novick, each show will be one hour long with no intermission, followed by the open mic segment of “two-minute tales.” This Friday, September 7 features storytellers Carla Katz, Jude Treder-Wolff, Ken Galipeau, David Lawson, & Sandi Marx. Click here to read more.